Saturday was an eventful night for Ring of Honor. 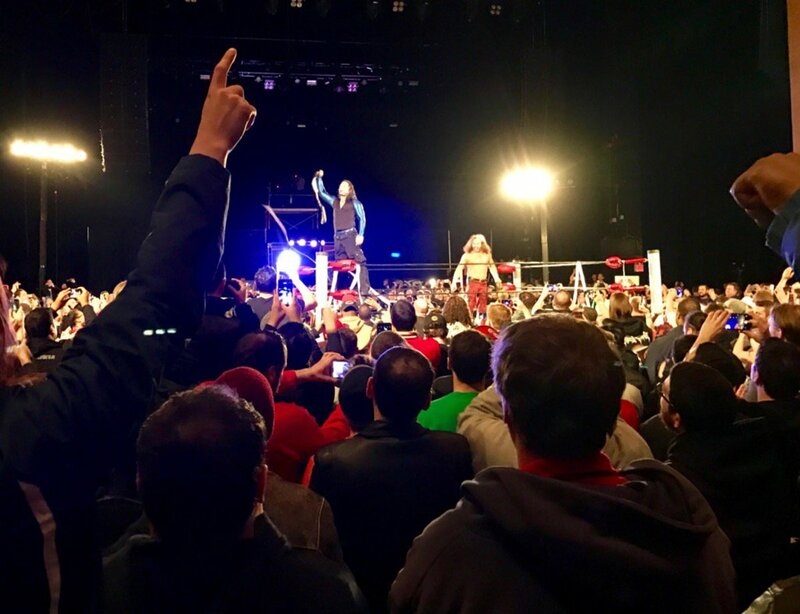 There were surprise appearances by both The Hardys and Bully Ray at Manhattan Mayhem VI, with Broken Matt & Brother Nero (in their full Broken gimmicks) even going on to defeat The Young Bucks and win the ROH Tag Team Championship. Both The Hardys and Bully Ray indicated that they were now with ROH, though how long they'll be with the company remains to be seen. The Hardys listed dates they'll be at going forward, including ROH's 15th Anniversary pay-per-view, but none of those were after WrestleMania weekend. The Bucks were the most over act on the show by far (at least until The Hardys showed up). This was a chaotic match. It had nonstop action, and it was pretty fun even though there wasn't much of a story. The Bucks won after hitting the Meltzer Driver. The lights then went out. They came back after a minute and The Hardys were in the ring, saying the Bucks' time has come. The Bucks accepted their challenge and told the ref to ring the bell. That moment was probably the single biggest pop of the night when the crowd realized they were actually having a match. The Hardys won and then cut a promo saying they had left TNA (prompting huge "f*ck TNA" chants) and that the rumors that they were going to WWE were wrong. They claimed that they have signed with the "Honorable Ring" and then rattled off a bunch of dates, which were all before WrestleMania. This was a good match, though the crowd was kind of dead. Cole got the pin with a roll-up by using a handful of tights. Bully Ray showed up to make the save after the Bullet Club came out to beat up Fish and tried putting him through a table. Ray said he had offers from other places (more "f*ck TNA" chants) but he was a fan of ROH and wanted to say he retired having fought there. He said he wasn't there for money or for a guy's spot -- he was there because he wanted to be. It ended with him asking for Joe Koff, which didn't happen, but he said he was now with ROH and that was it.